A key component of collaborative industry projects is the ability to prototype concepts for testing and validation. Design is an iterative process of testing and redesign. The Design+ Gateway has been an early user and advocate of 3D printing since its establishment in 2016, using both a Zcorp powder printer and an SLA Viper. 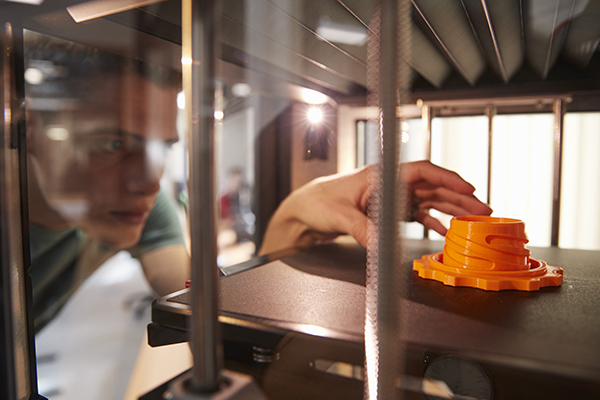 There have been significant advancements in 3D printing over the past decade. Traditionally, the ability to produce a 3D model for visual representation from a digital model was sufficient. Today, the expectation is that a 3D printed model has to withstand the rigours of user testing and incorporate a number of materials representative of final manufacture. 3D printed models need to be functional and be able to perform with similar characteristics to a manufactured part to be beneficial to the design process. 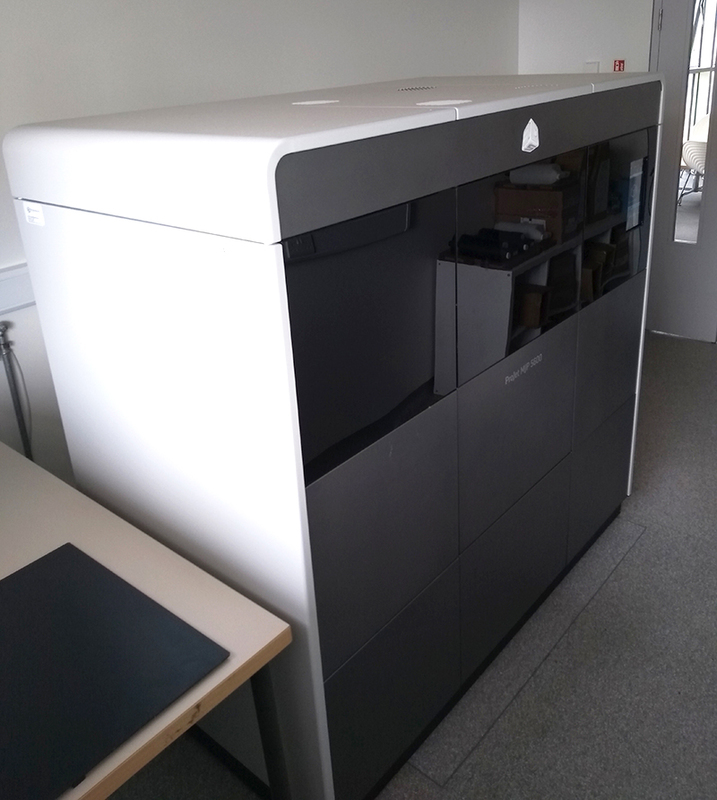 In response to these needs, Design+ recently purchased a new state of the art multi-material ProJet MJP 5600 3D printer from 3D Systems in order to meet current research and industry needs. The ProJet MJP 5600 delivers high quality, highly accurate and tough multi-material composites (flexible and rigid material) composites layer by layer in a variety of colours and shades including opaque, clear, black or white and numerous shades of grey. With its industrial-grade print head, the ProJet MJP 5600 prints up to two times faster than any other printer in its class, and produces more than 60% larger volume than all other comparable systems, producing larger parts up to half a meter long, or more parts per print job. Design+ recently worked with TRI Equestrian on the design of a new state-of-the-art therapy saddle. 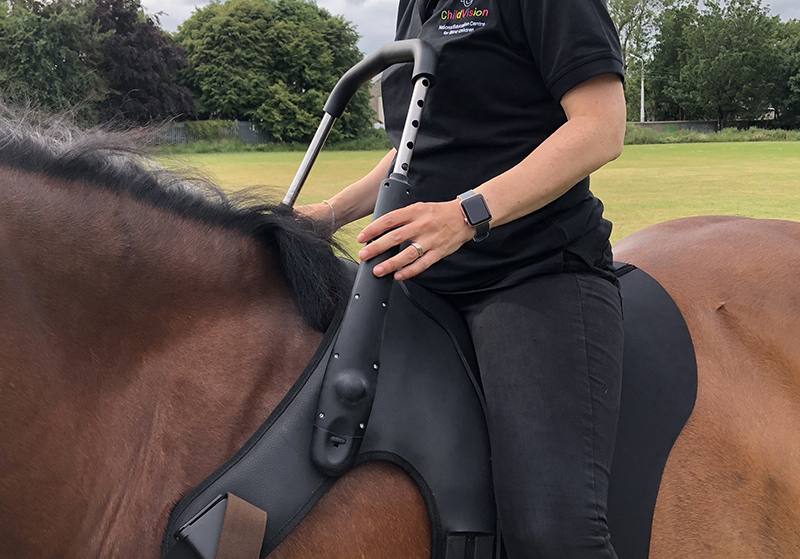 The saddle is designed to meet the needs of all abilities by enhancing the connection between the horse and rider which has shown to have extensive therapeutic results. The saddle includes a patented biaxial support system that was developed and prototyped through the use of 3D printing. 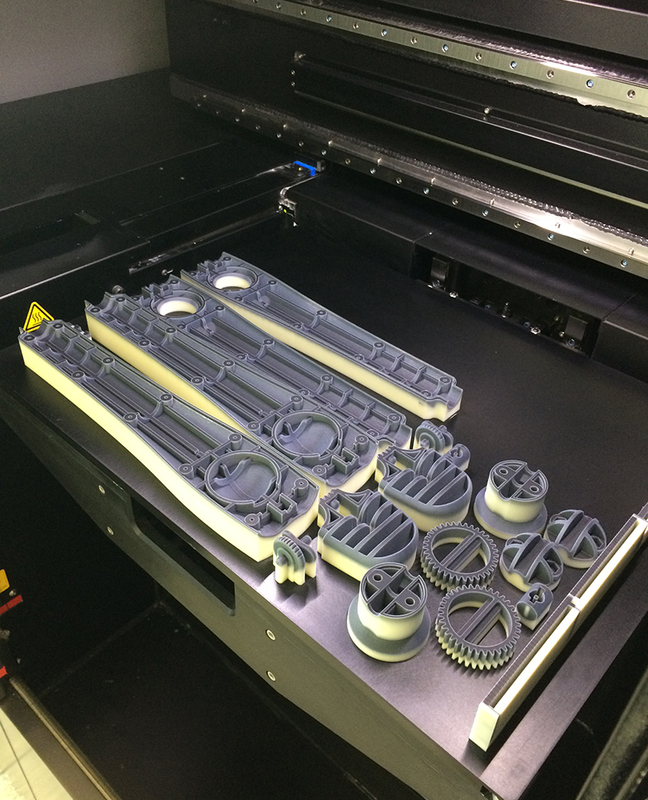 All the plastic components of this support system were able to be printed full scale on the large format ProJet MJP 5600 (image 1 below). The printed parts allowed the design to be tested (image 2 below) and any issues to be resolved before progressing to manufacture. Innovation: a key element to a company’s success Nutraceuticals – good science or good marketing?